Feeling stress with city life? Want to know how to lower down your blood pressure? 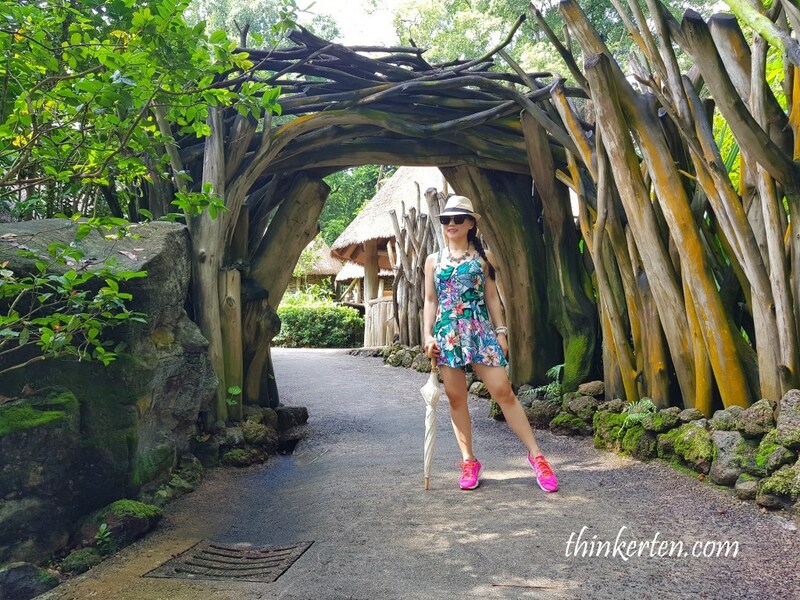 Try exploring zoo! Report in Japan has shown going to zoo will help to feel less stressed and lower down blood pressure. 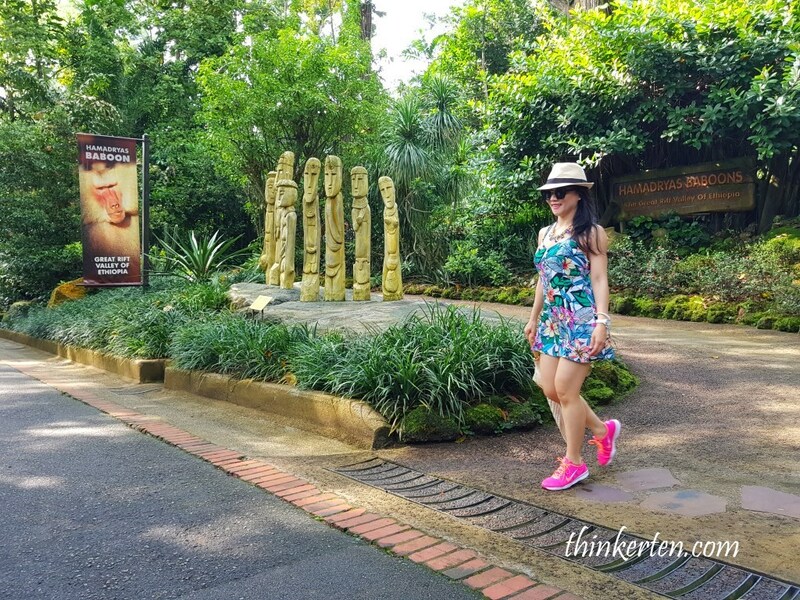 Lets explore Singapore Zoo – also known as the best rainforest zoo in the world. 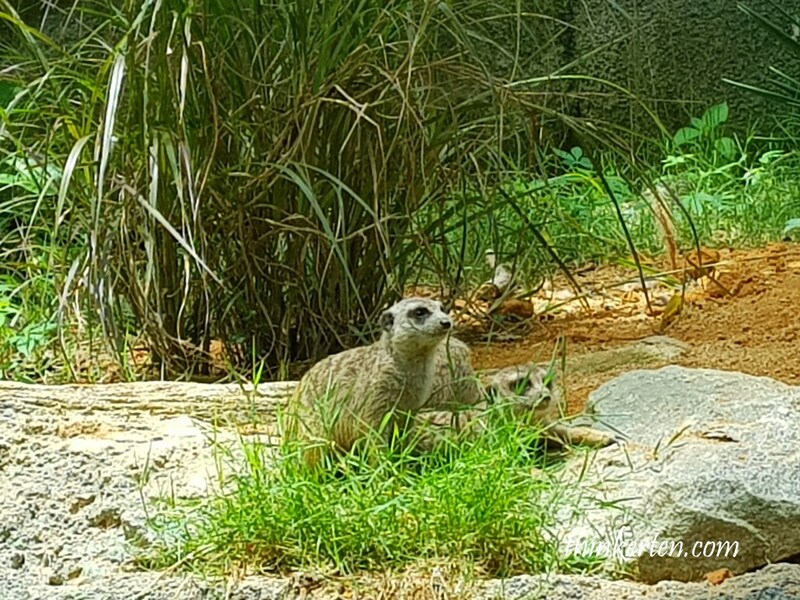 Visiting zoo offers so many learning opportunities especially for kids, it also promote family bonding and encourages environmental awareness. 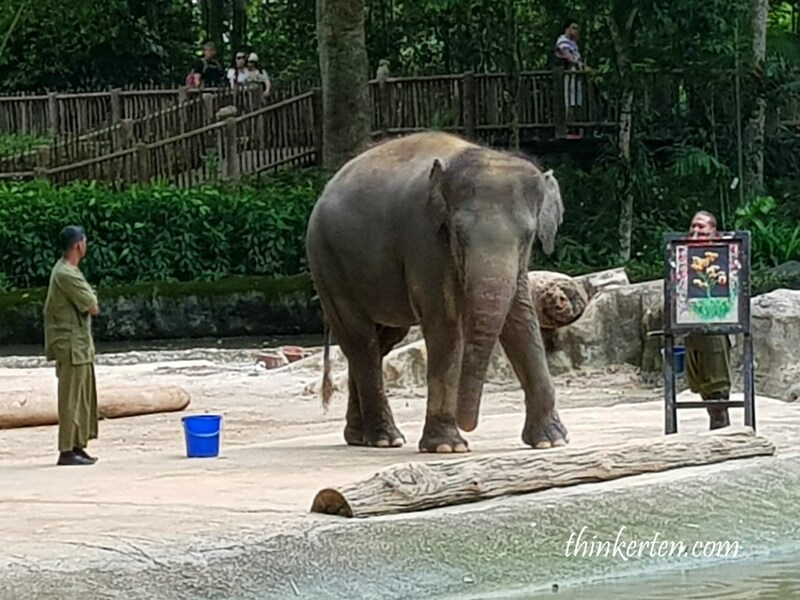 I have not been to Singapore Zoo for quite a while and there is not much changes after I re-visit recently. I like to come to the zoo early in the morning as the weather is cooler. Once you entered the gate, the staff will give you a map with plenty of information. 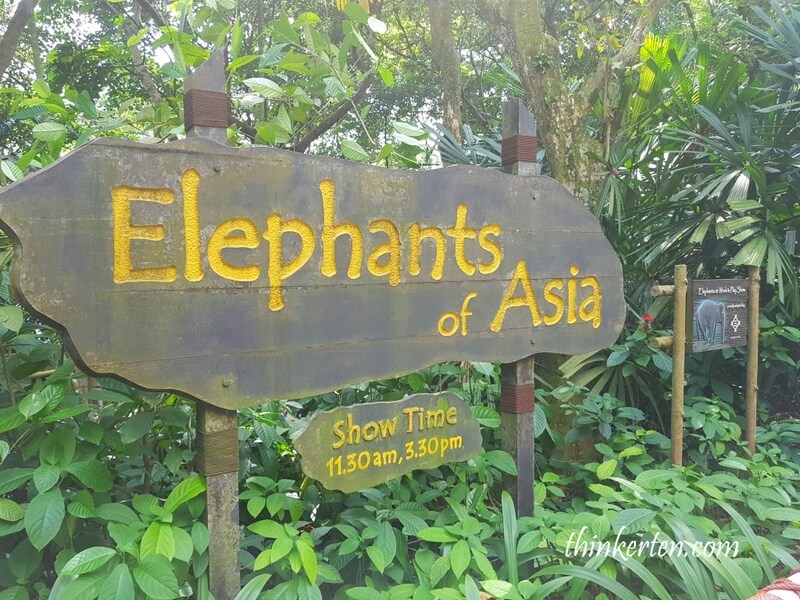 Do check out the Animal Shows and plan your routes in the zoo. The Animal Shows take place in different locations, so start planning my itinerary is my first task. 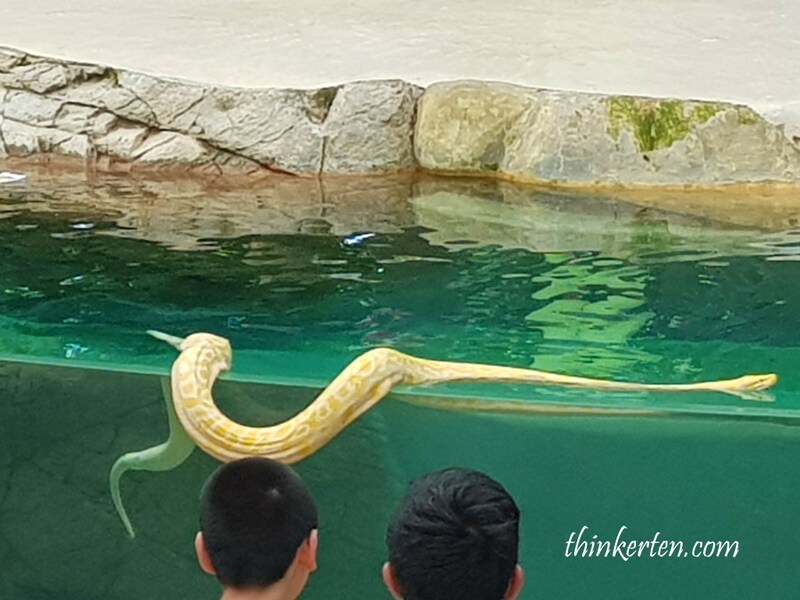 In total, there are 4 shows, Splash Safari – Sea Lion performance, Rainforest Show, the Elephant Shows and Animal Friends Show. These Animal shows run at 2 different timing. If you missed the morning show, you can always visit the later one. Red Rhino and some information educating the visitors not to buy their horn. 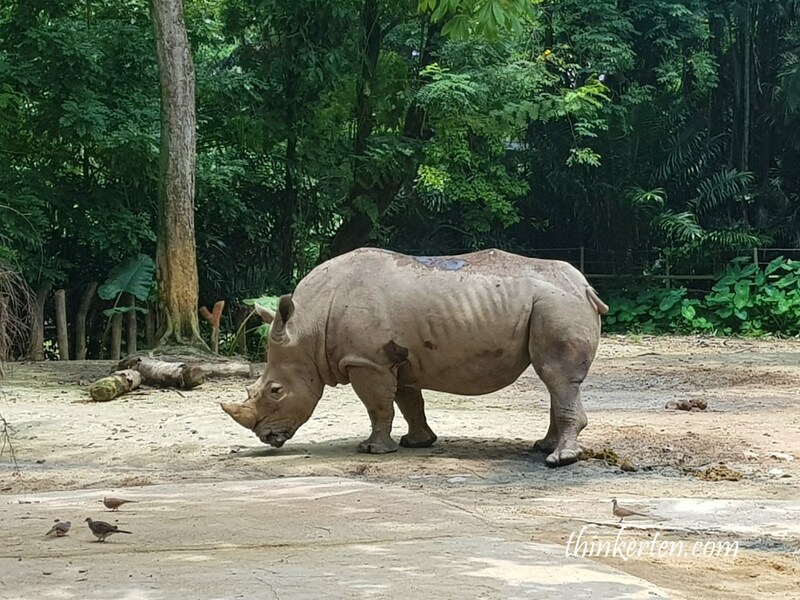 The Singapore Zoo (formerly known as the Singapore Zoological Gardens) was opened in 1973 with a modest collection of about 300 animals from some 70 species. Now the animals in the zoo has multiplied to 2,800 animals representing more than 300 species. How do you differentiate monkey and apes? Monkey has tail and ape does not. Ape has larger brain and more look like human. Some of the species of apes are baboon, orangutan and chimpanzee. 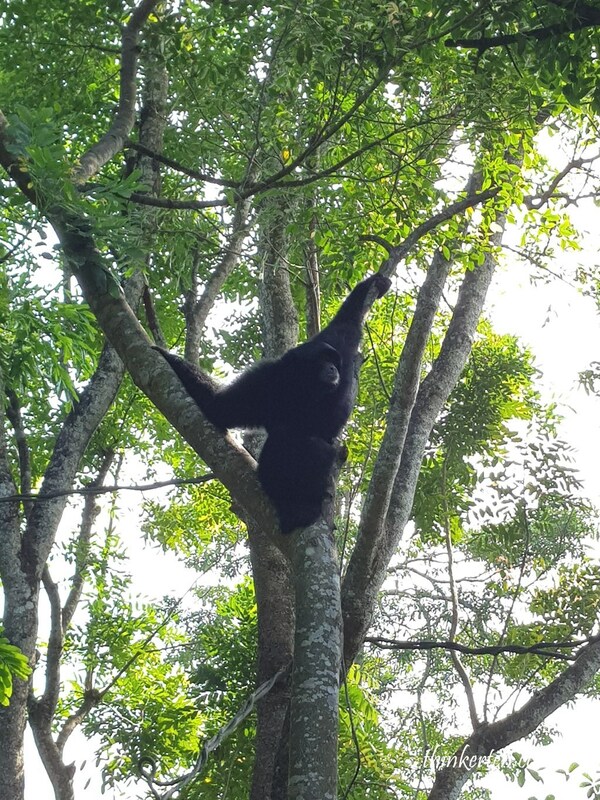 I was trying to check out the little black fellow is an ape or a monkey. Tapir look like pigs but with longer snouts. But the Malayan tapir has more outstanding coat, the stunning black and white color outfit. It is also endanger, estimated as few as 3,000 left. 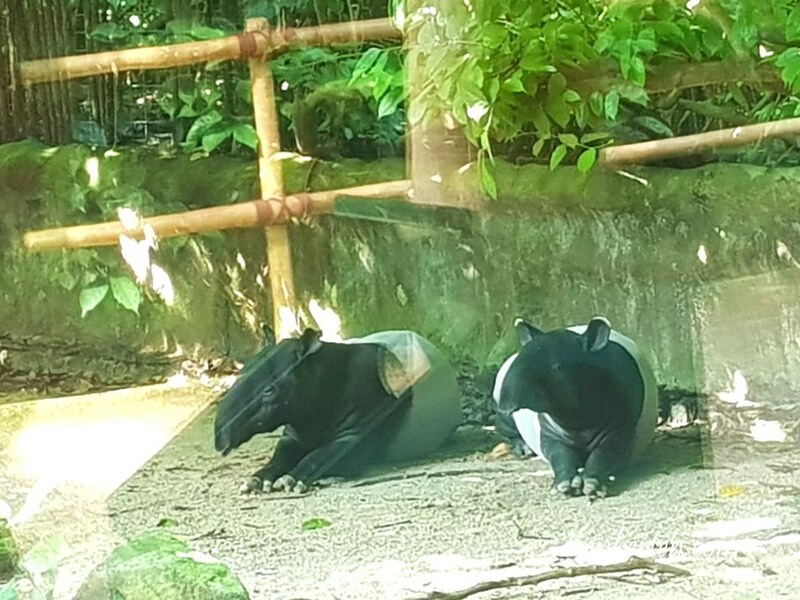 Some people think tapir look like elephant because of it long nose and some say it look more like a rhino because rhino and tapir both have only three toes. What do you think of this native Asian fellow? 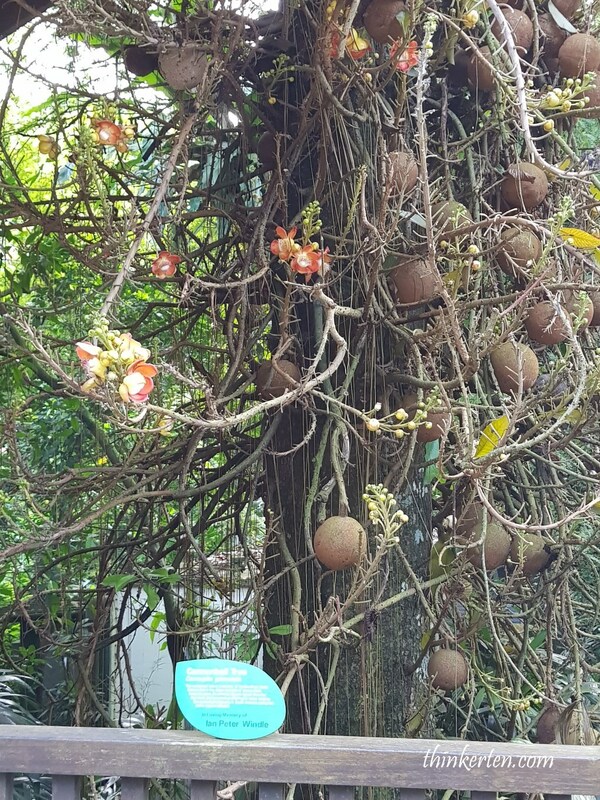 Coming to zoo is not about animals only, you got to learn about plants too. 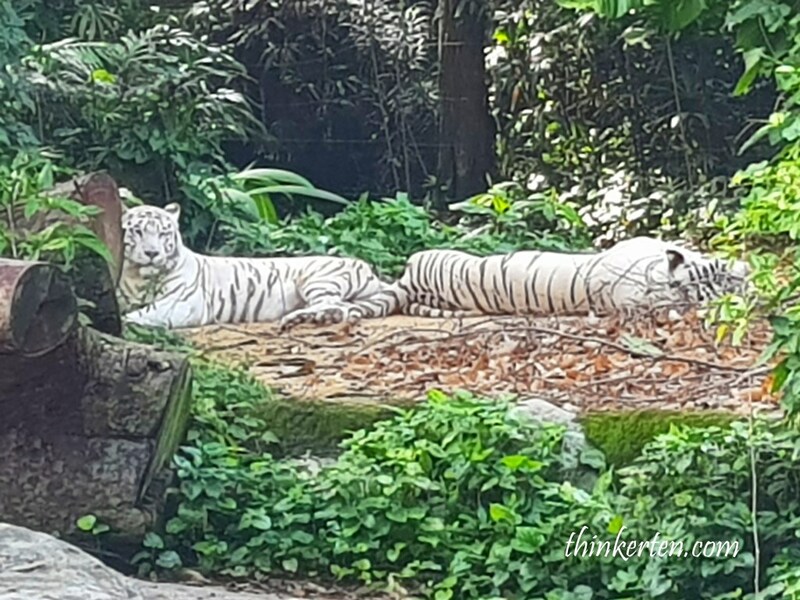 The star animals in Singapore Zoo, the white tigers also is a variant of the Bengal tiger. They look like albino but they are not. The rare coloration is a result of gene mutation. 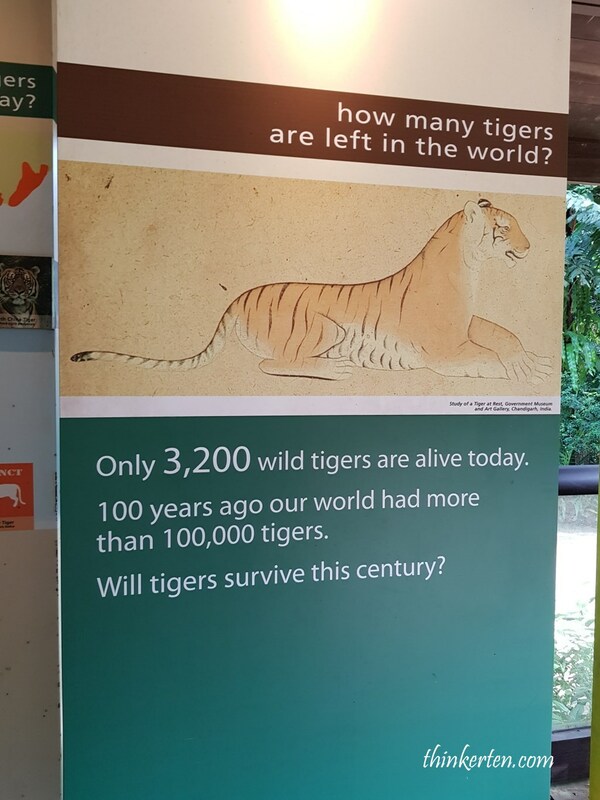 More information signs to create awareness of these endangered species. 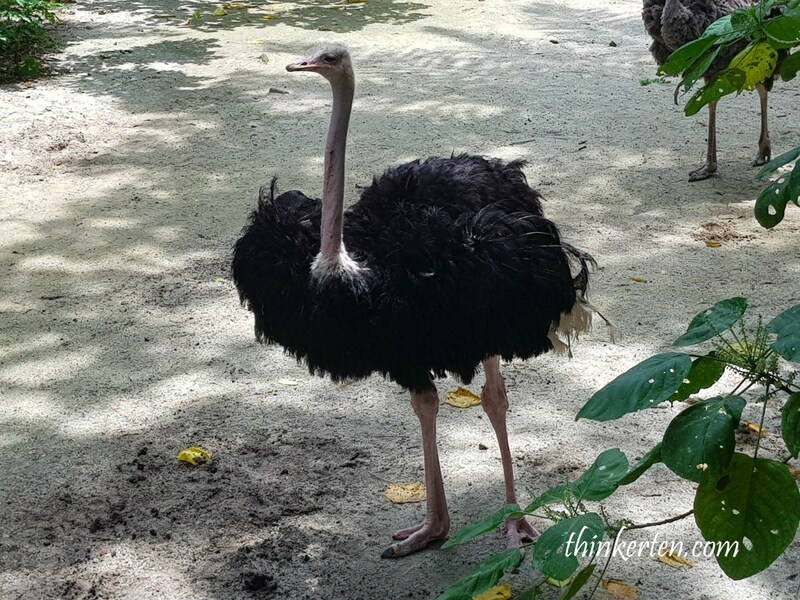 Zoo is not just a place for young children but for adult like me too, to be able to observe wildlife. Giant turtle in the concealed area, I only able to took a picture of his big fat tail. I guess he is too shy to meet the excited visitors. According to reports, one of the highest fatality in Africa was due to moody hippo killing human. 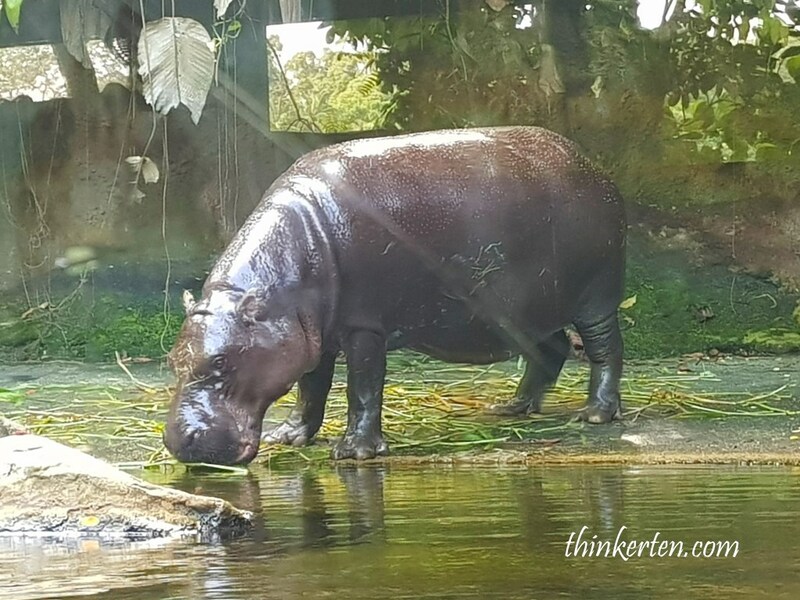 The hippo also love yawning, if you think they are lazy or feeling sleepy then once again, you are wrong. They are trying to show off their razor sharp teeth and ask you to stay away from them. 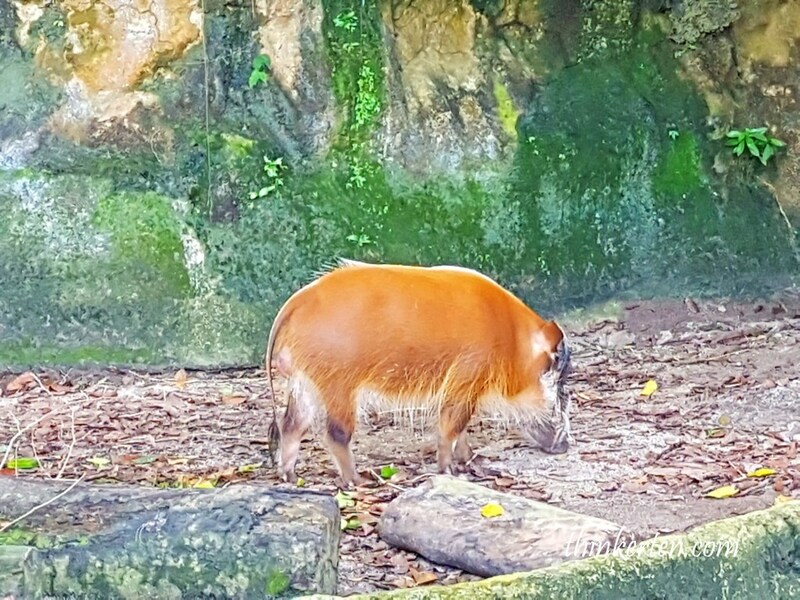 Red River Hog is from the pig family from Africa. Not able to capture his front face, look like the pig. 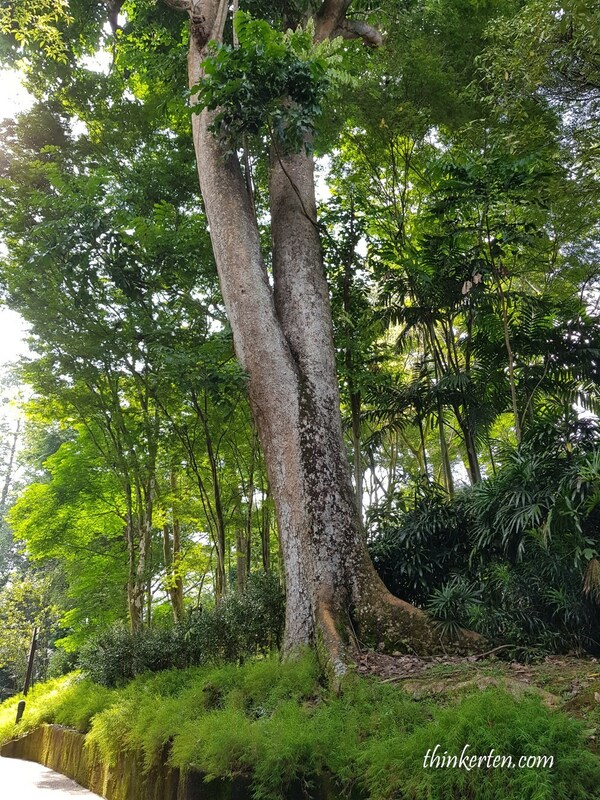 One thing I love about Singapore Zoo, are the giant trees. 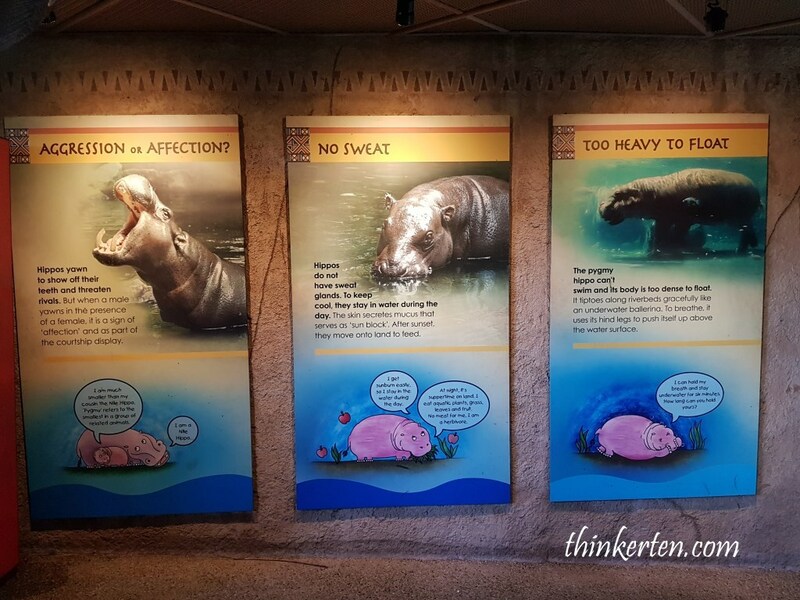 You won’t feel hot while walking in the zoo because you have all the big shades and cool breeze. 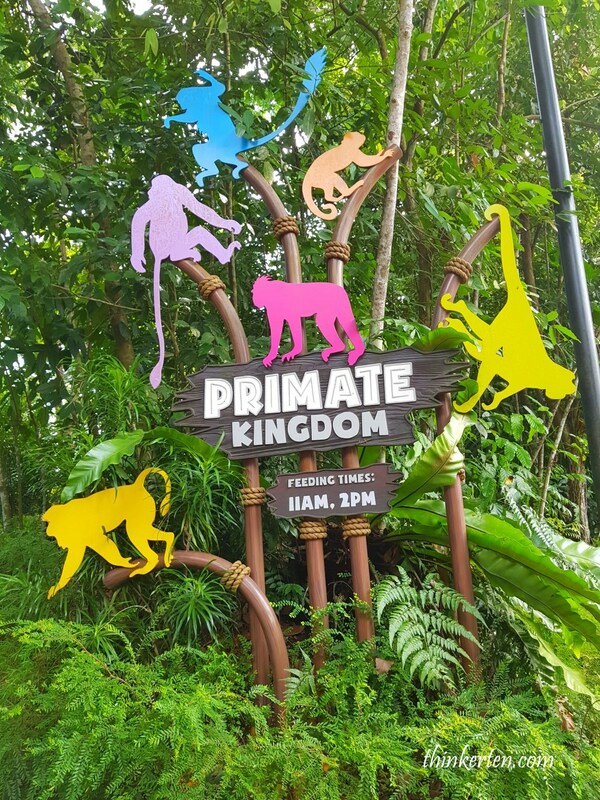 There are quite many type of apes and monkeys in the primate kingdom. You can wait for the feeding time and take pictures with these lovely creatures. Feeding time is 11 am and 2 pm. 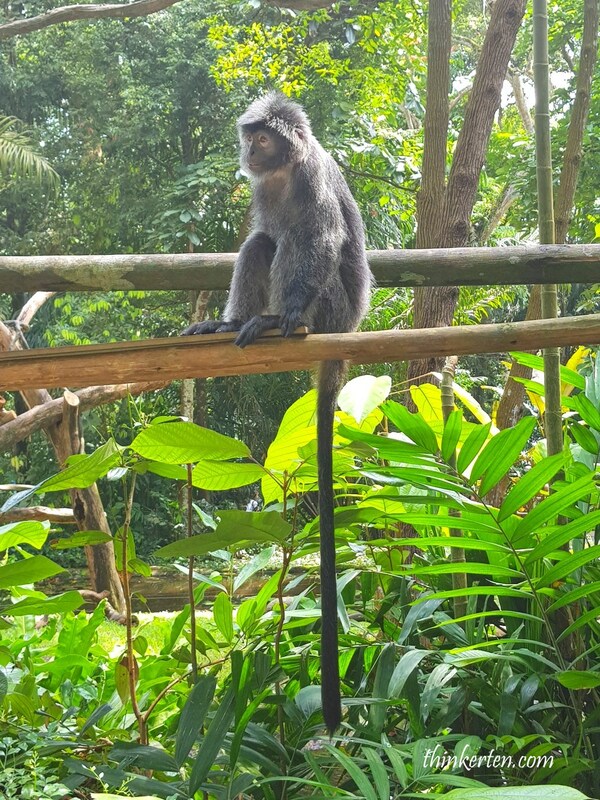 The above monkey is very tame and well behave, it just sits there and look at the visitors and did not give any trouble. Some monkeys are very naughty and they may grab your glasses or hat or handbags. 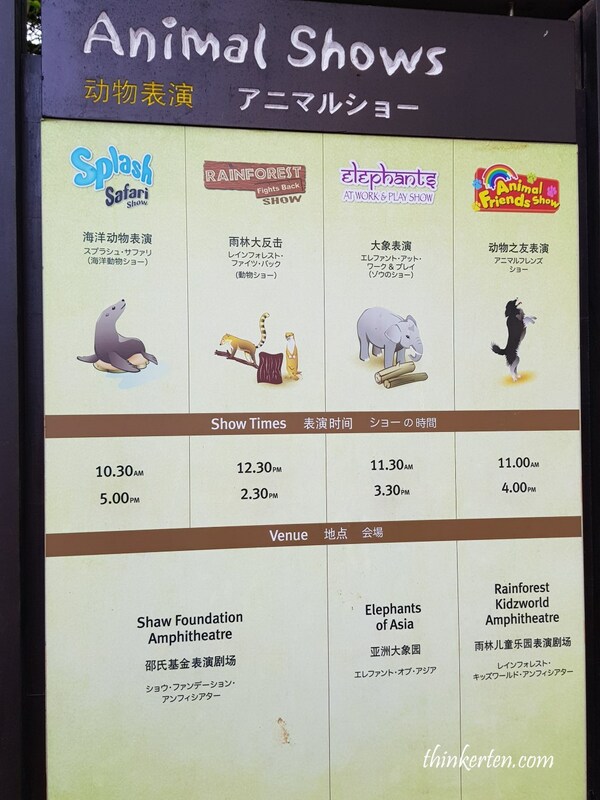 Splash Safari is one of my favorite show which run at 10.30 am and 5.00 pm. The sea lion is really intelligent who came from California, also one of the superstar in Splash Safari show. Seeing the trainer interact with the California sea lion make me think of my dog at home. 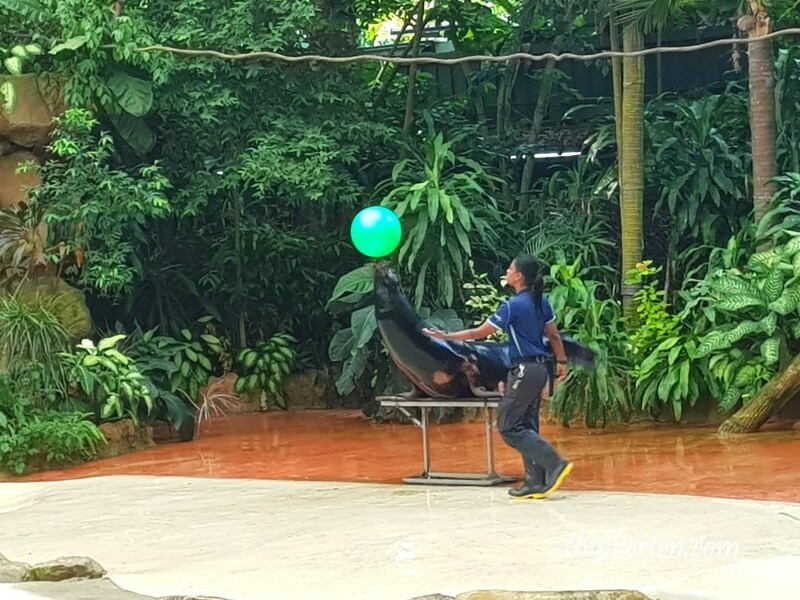 In fact some thinks that sea lions are just dogs live in the water, the can play fetch too just like the dog and obviously men best friend. 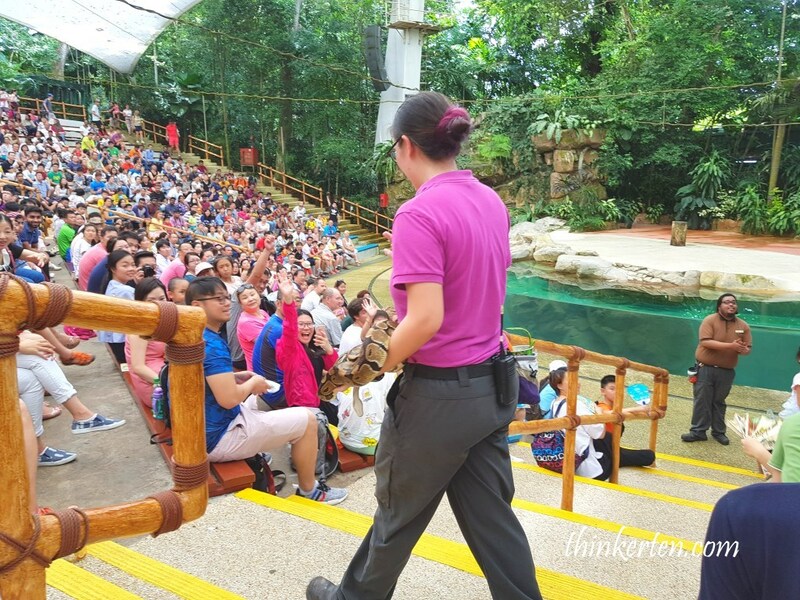 Avoid sitting at the front rows if you do not intend get splash and wet by the goodbye wave from the sea lion. 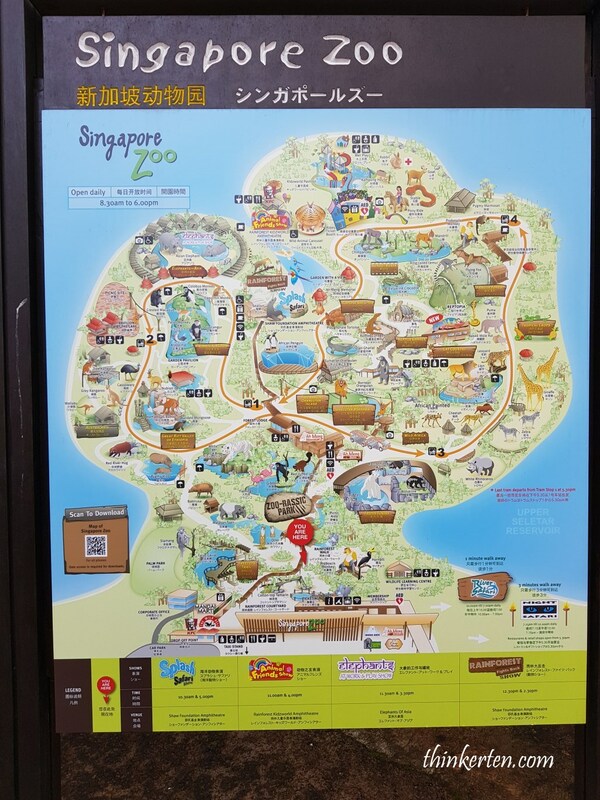 Singapore Zoo is divided in two areas; Singapore Zoo and River Safari, located next to each other. 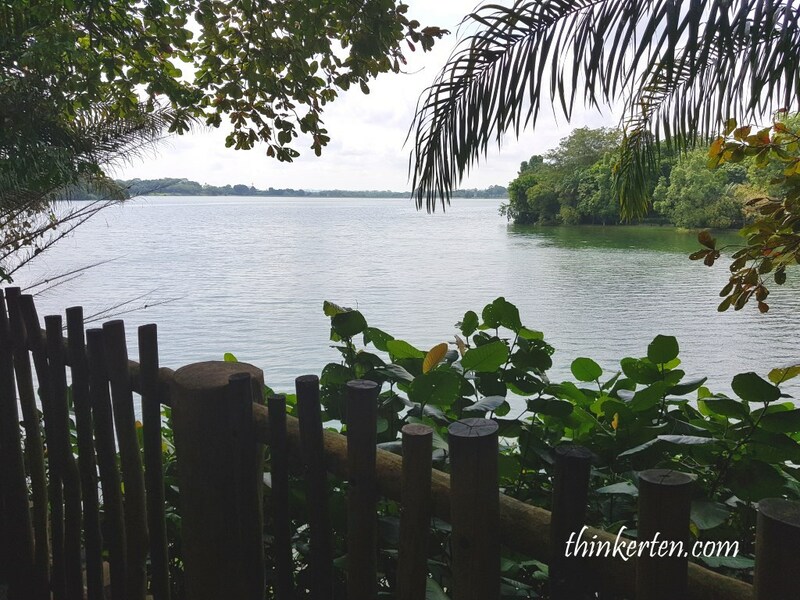 From the Singapore Zoo, you can see some portion of the River Safari. It is a separate entrance and need additional ticket for entry. The spectators are full before the show start. I was lucky to grab a seat 15 minutes before the show start. One of the elephant is painting and the painting turn out quite pretty. Not sure it will get auction? These elephants are smart too, they can act and the show was really funny. 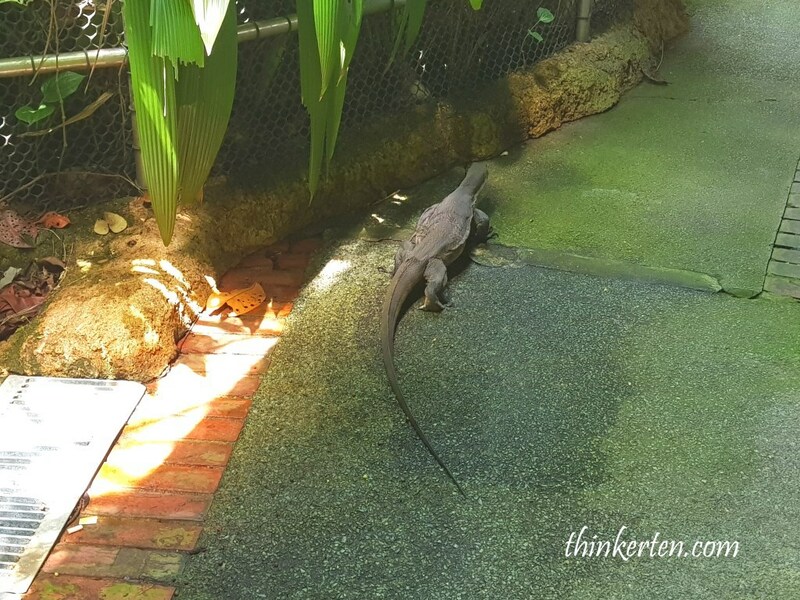 Spotted a monitor lizard crawling slowly, could it be just escape from the Reptile Garden? 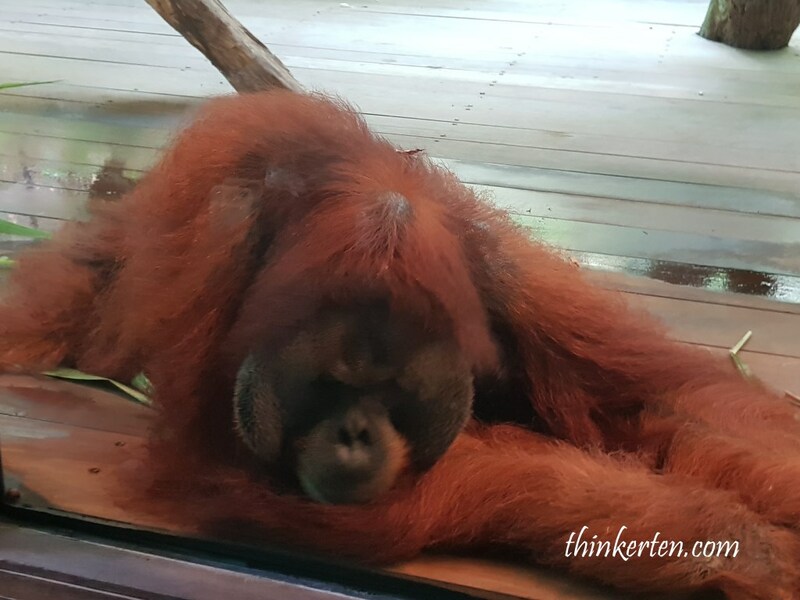 Orang Utan, another superstar in Singapore Zoo. The late Ah Meng born 18 June 1960 and passed away on 8 February 2008 is an icon for Singapore tourism, who also lucky enough to have tea with the my favorite pop star, Michael Jackson. 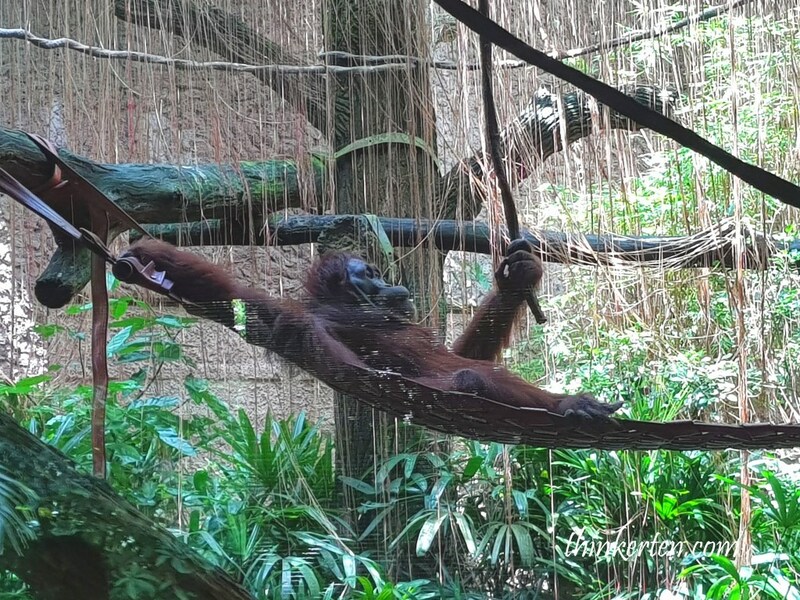 I saw few orang utan, believed to be Ah Meng’s children and grandchildren playing and some lying down at the hammock. Not sure what species is this one, the face is super round with red hair and lying on the floor without much movement. Must be too bored. 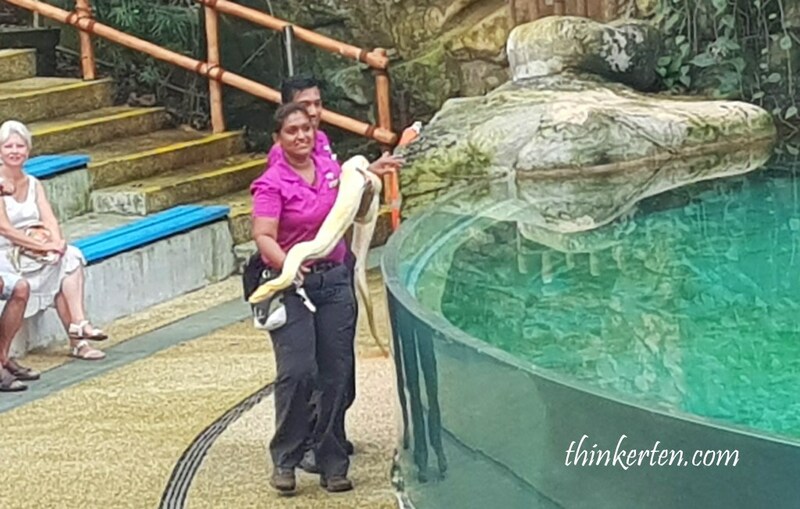 Showing off the heavy big white python in the Rainforest show. It took two staffs to carry this heavy baby. Taking a naked bath in front of all the visitors around the world. A tourist from London came up to the stage and have some face to face interview with the snakes. 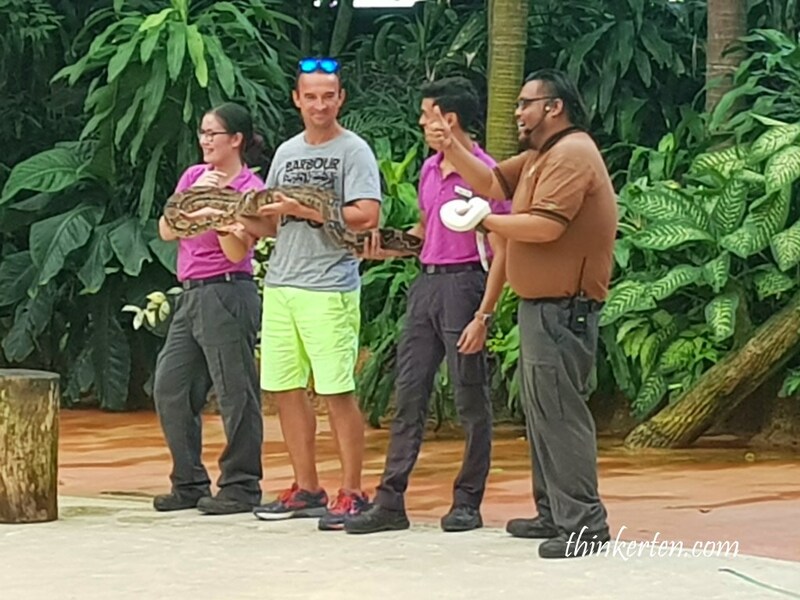 If you have phobia, this is the best time to conquer your fear, the zookeeper told the audience. 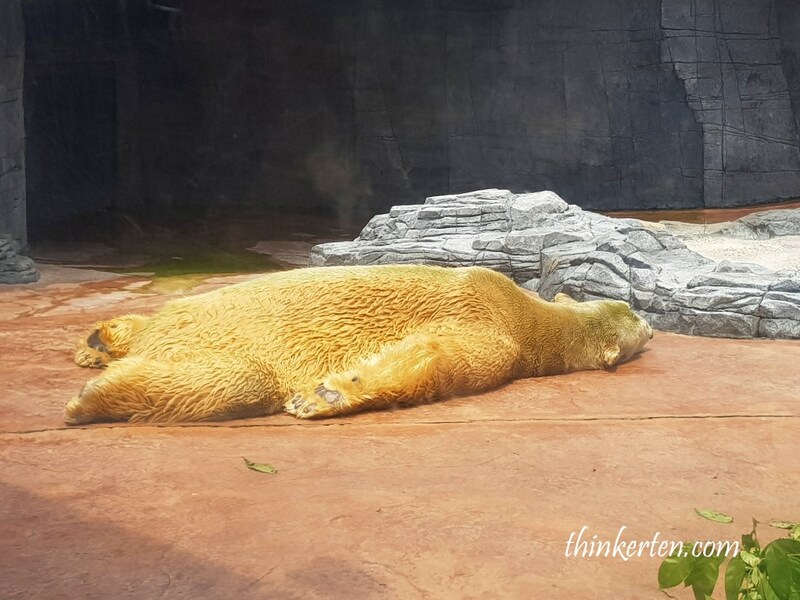 Inuka is refer to polar bear, also one of the mascot in Singapore Zoo. I thought the hair would be white but it is quite yellow and brown. 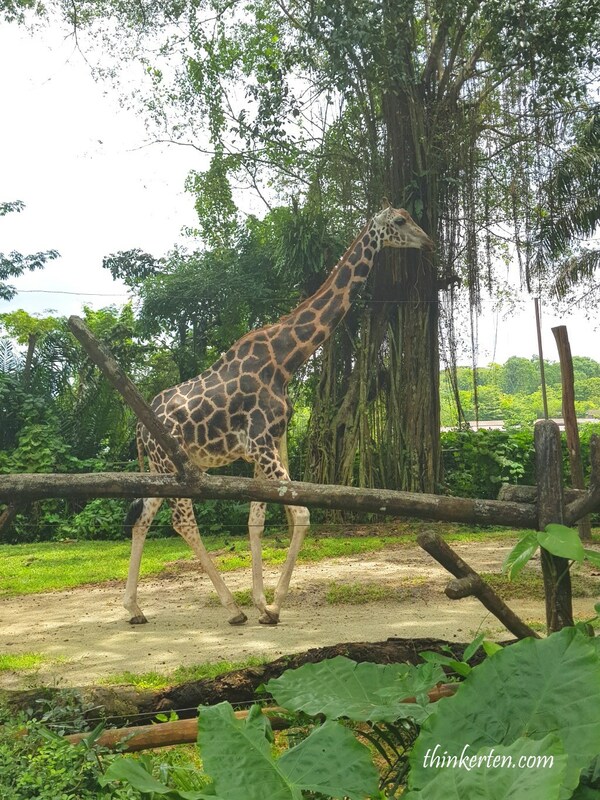 Inuka is born in Singapore and also the first who was born in the tropical country. He as waiting for his feeding time which starts at 1.30 pm. Inuka eats 30kg of food a day which include meat, fish, vegetable and fruits, quite a big eater. 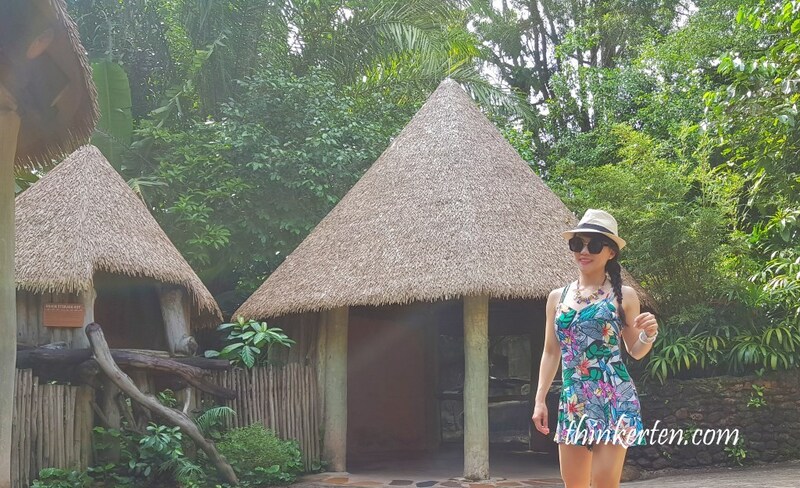 My favorite part is exploring the wild Africa, a great experience to see up close with the rhinos, giraffes, zebra and ostrich. 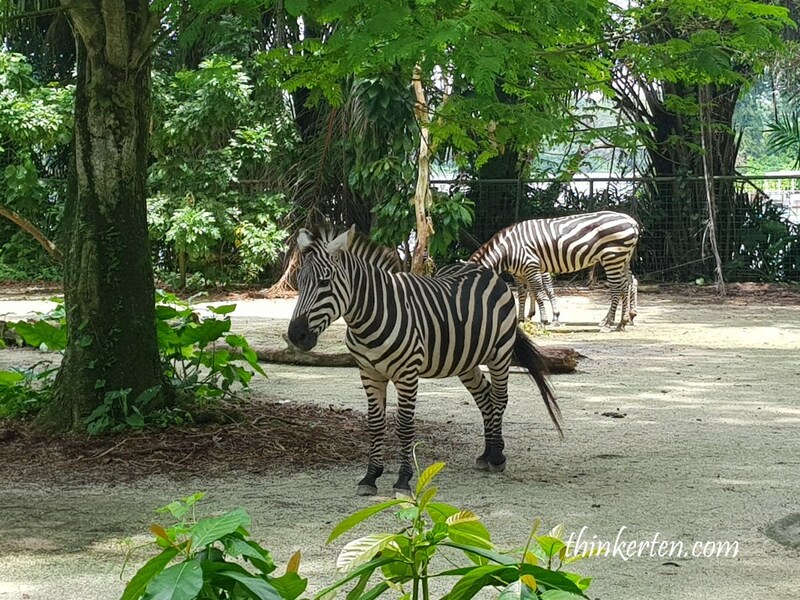 Is Zebra Black with white stripes or White with Black Stripes? Have you wonder how giraffes sleep? They usually sleep standing for a nap 5 mins, no longer than 30 mins. 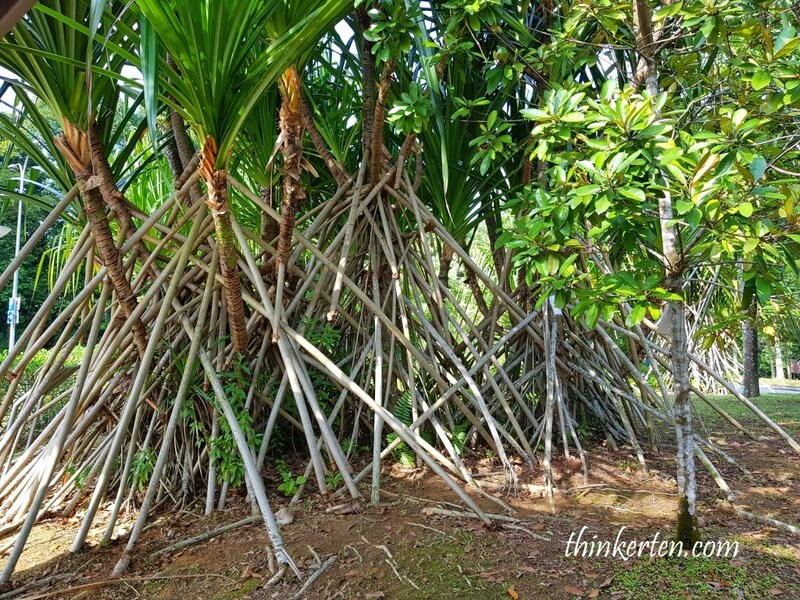 These world tallest creature hardly lie down because the lie down position make them vulnerable to predators. It takes time for them to get up if they are on the lying position. The giraffe prints are also quite a stunning one, no two are found identical, just like our finger print. 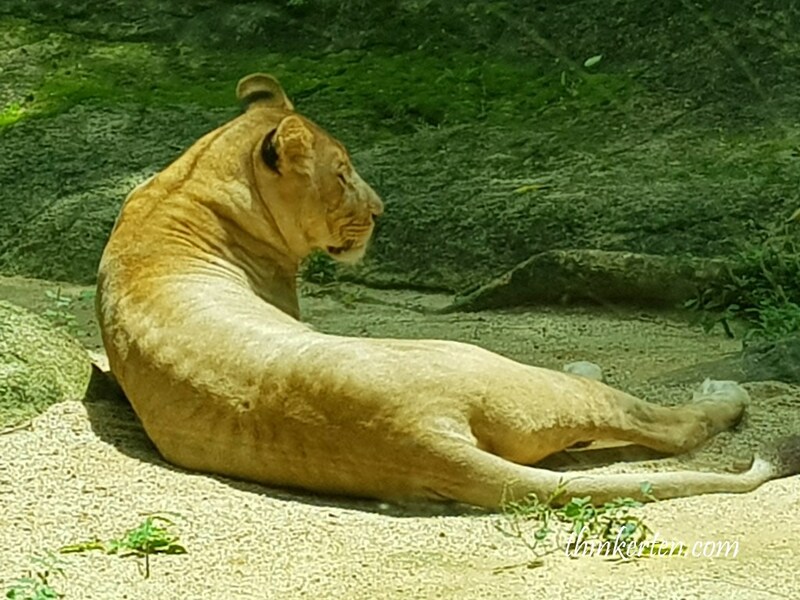 A big cat sun tanning comfortably in Singapore Zoo, – Ms Lion. Female usually goes out to hunt for the family because they are more agile compared to the male lion. Male usually stay in and look after their cubs. I could not capture the photo of the male lion as he was hiding, may be busy combing his mane. 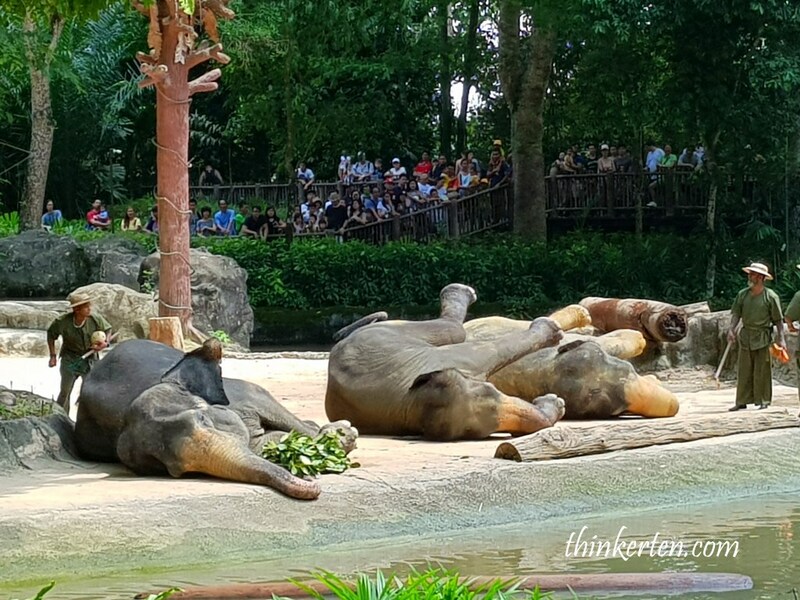 Why most animals are so lazy? 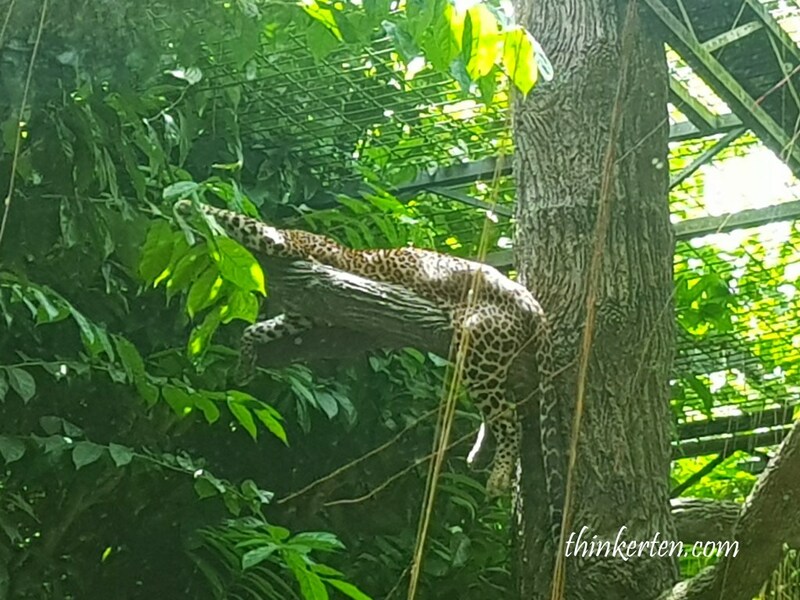 Animals such as leopard, lion and tiger only get active at night, that is why whenever you visit the zoo in the day time, they always lying down or taking a good nap. 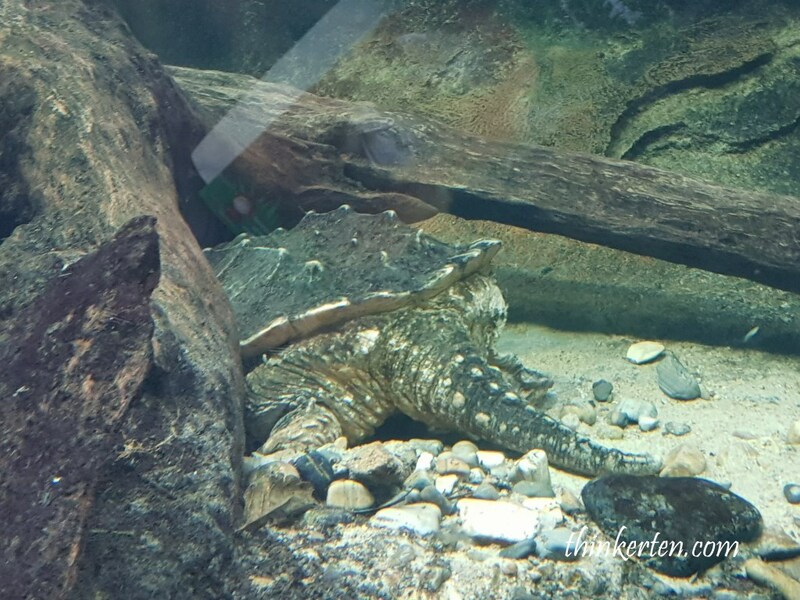 If you visit the Night Safari at night, then you will see these animals are pretty active. 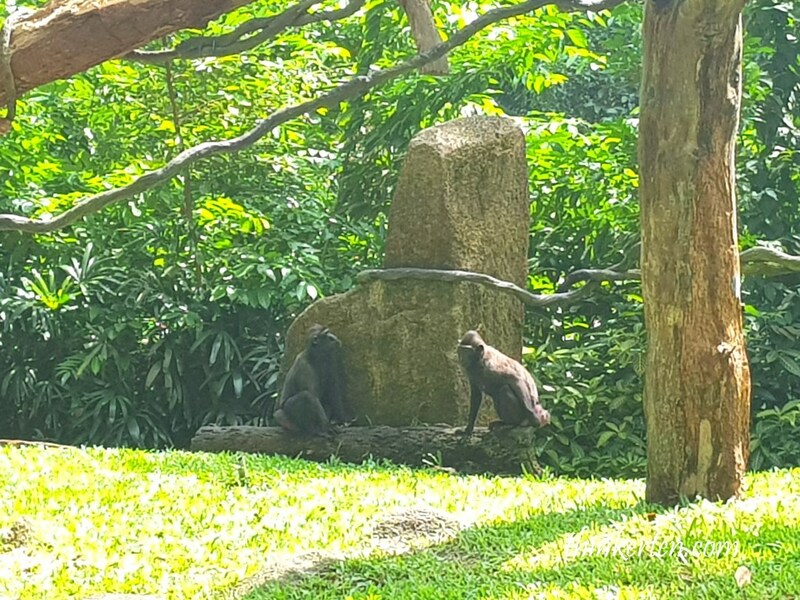 Singapore Zoo address : 80 Mandai Lake Road. 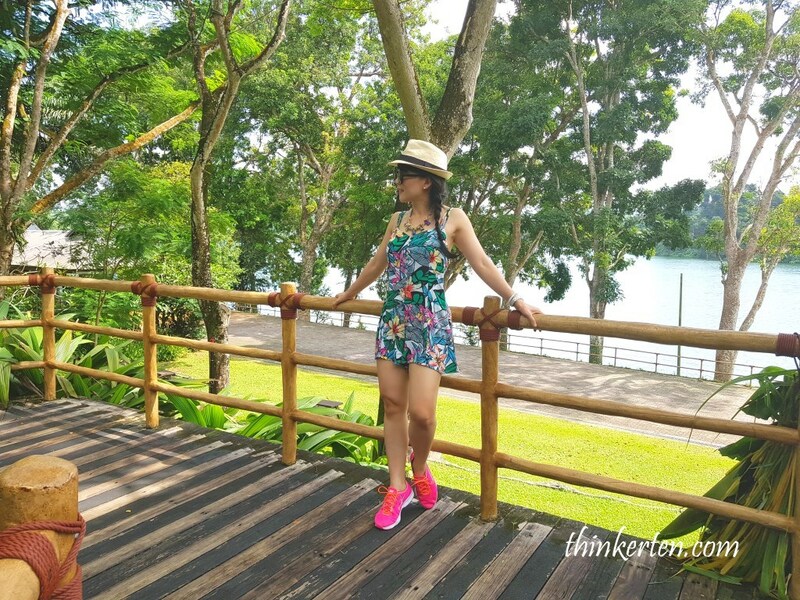 By MRT : get off at Choa Chu Kang (NS4) Station, then ride Bus 927 to Singapore Zoo. Plenty of car park available. Remember to bring a paper fan and some insect repellent. If you are coming in the weekends, queue for foods can get very long, so it is wise if you can bring some sandwiches and water along. 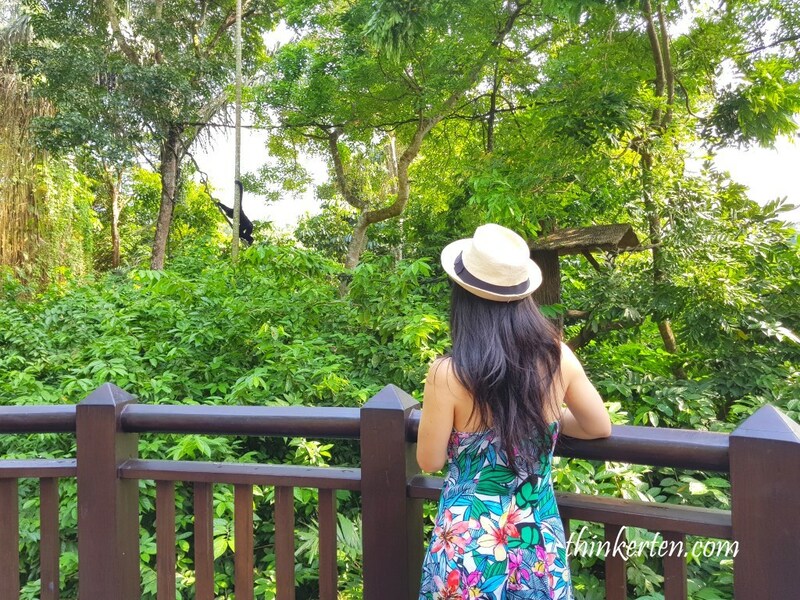 Singapore River Safari – Check out Jia Jia & Kai Kai Panda! 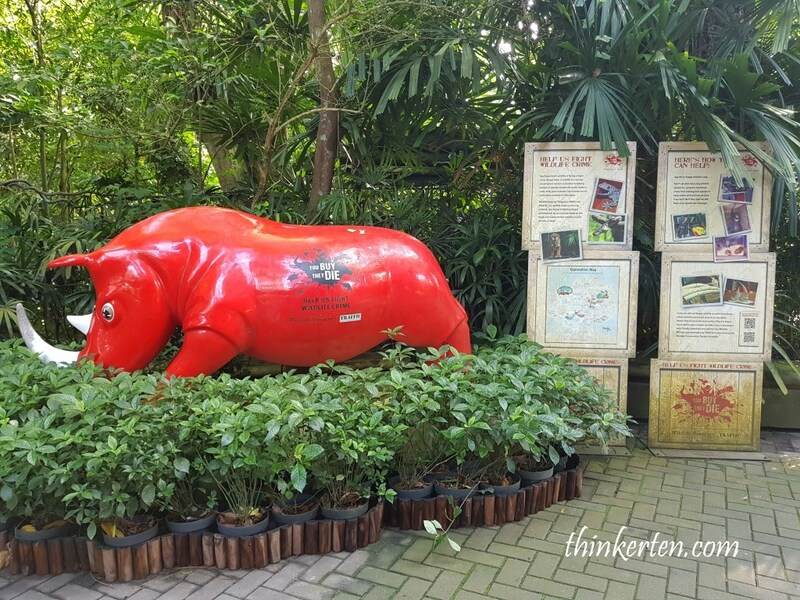 Lets get drunk in Singapore Tiger Beer Factory!